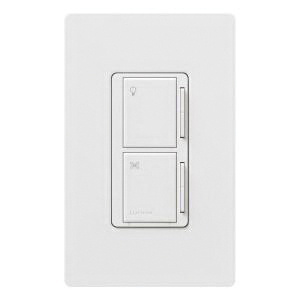 Lutron Maestro® 2-level fan/light dimmer switch works well with all existing wiring where single switch controls the speed of fans. It sets and recalls 7-light levels/fan speeds to provide added comfort. 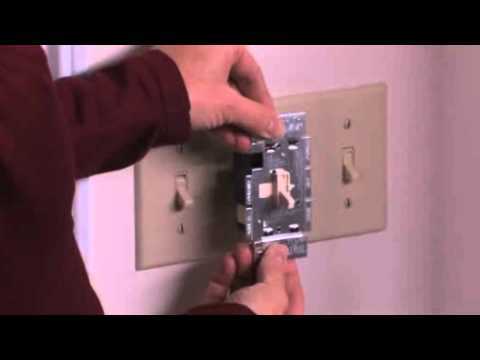 It is compatible with incandescent and halogen bulbs. The LEDs provide indication of dimmer at top and fan control at the bottom. The multi-location switch in white, has plastic housing with gloss/stain finish. This rocker tap switch adjusts light level or fan speed.